The Team Corally Soldering Stations are fully packed with amazing features. 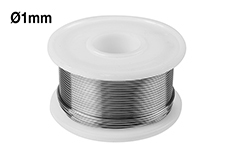 They feature an extreme power and together with the high-power Hakko heating element it reaches the working temperature unbelievably fast. 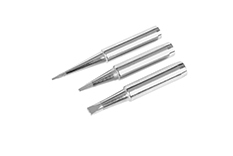 You get perfect soldering joints on batteries, motors or speed controls with very few waiting time. 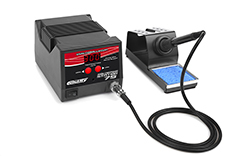 The Team Corally Soldering Stations are microprocessor controlled for easiest setup and super fast temperature adjustment within 1 degree celsius increments.